After starting the day with a demonstration of a simple hook, which will incorporate basic and essential forging techniques, the students will then go on to making their own hook. 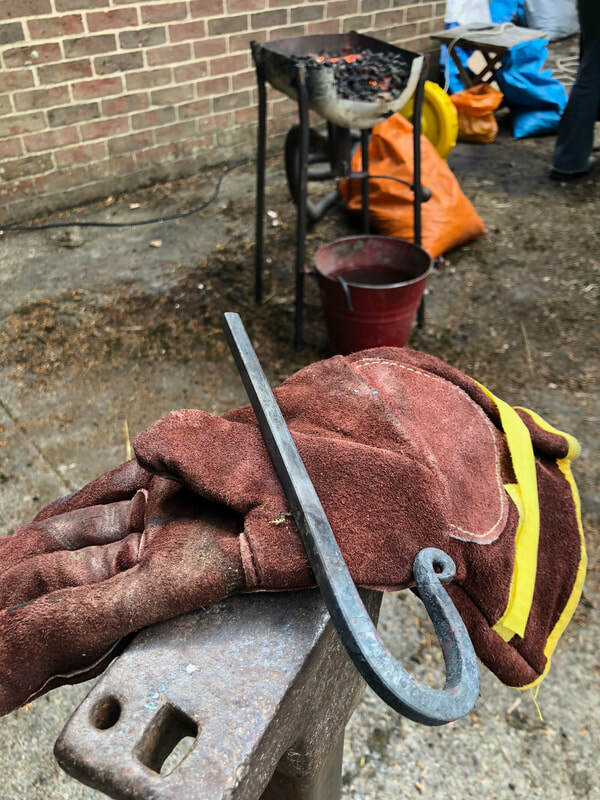 In the making of this item, students will learn to use the forge fire and gauge the temperature of steel stock by its colour. Handling tongs and hammering steel into shape will be put into practice throughout. If time allows, another item can be started on, using the same techniques applied to the hook. The items will be finished by wire brushing and waxing. The day will focus on traditional forging using a coke fuelled fire and anvil.